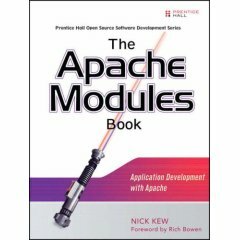 Apache Tutor is a site by Nick Kew specialising in tutorials and articles for application and module developers working with Apache 2. It uses WebÞing's mod_annot XML namespace based publishing framework. WebÞing has used the Apache Webserver as its own development platform since 1995, and has extensive expertise and experience in software development and server administration. Broadly relevant areas of expertise include module development, CGI, mod_perl, mod_python, MySQL and PostgreSQL, as well as a range of programming languages, Markup technologies, Unix/Linux systems and Internet protocols. WebÞing now offers our expertise to Clients. Please Contact us to discuss your requirements for Apache development, support and administration. The Apache 2 architecture - in particular the Filter Chain and the updated smart filtering in Apache 2.1/2.2 - makes it an excellent applications development platform for smart Markup-aware applications. WebÞing, developer and operator of Site Valet and a contributor to community projects such as the WDG, the W3C Validator and relevant W3C working groups, is the leading centre of expertise in this field. The modules listed below are components of our core infrastructure. WebÞing's development work focuses on building web applications with Apache 2. The core of this is our modules, most of which are published as open source. All the modules listed here are are developed by WebÞing and unless otherwise indicated are our copyright and intellectual property. Exceptions are open source modules owned jointly with other developers. Modules developed for commercial clients are not listed here. The legacy of mod_xml includes XSLT and associated options. The more recent XML Namespace API, implemented by mod_xmlns and mod_publisher, is the basis for extremely fast and efficient XML-based applications. The Apache DBD API provides a generic database layer offering an order of magnitude more scalability than the classic LAMP architecture. We offer a namespace module for incorporating SQL into HTML or XML pages, and drivers for popular databases including MySQL. The Apache 2 filter framework is the basis for much of WebÞing's software. Arising out of our work, mod_filter, is the basis of the improved framework in Apache 2.1 and 2.2. The older mod_diagnostics remains a useful tool. mod_xml2enc harnesses the power of apr_xlate/iconv to improve the i18n support of libxml2-based filter modules such as mod_publisher, mod_accessibility, and mod_transform. It is based on work first done in mod_proxy_html 3.0, and generalises that work rather than duplicate it in several different modules. mod_publisher is the Gold Standard of markup processing modules, offering a powerful and extensible yet ultra-fast framework for all live publishing needs. mod_accessibility transforms HTML on-the-fly on a server or proxy to improve accessibility and empower users. The mod_annot XML-based publishing framework is a namespace application developed by WebÞing for Apache Tutor. WebÞing's currently most popular module is mod_proxy_html, which serves to rewrite links in a reverse proxy. mod_proxy_xml deals with XML document types such as WML. Other one-off modules include web publishing of CSV (spreadsheet) files, and prettified plain text. Site Valet is the best available toolkit for web and intranet QA. The Web frontend comprises a suite of modules for analysis, reporting, management and audit trail. Site Valet also includes several interactive markup analysis tools. Two of these are based on modules: the validator Page Valet on mod_validator, and the accessibility analysis tool AccessValet on mod_htnorm, a thin layer on top of WebÞing's core libhtnorm library. These rely also on XML and Forms modules. mod_upload and mod_form are input filter/utility modules to process and decode HTML Form data for use in applications, database queries and mod_publisher. mod_line_edit is a filter to rewrite outgoing text. It is broadly comparable with sed, but optimised to work well with Apache.